I can’t believe I’m asking this question again. It seems like 4K has been around longer than Elvis and yet it’s still never completely caught on. 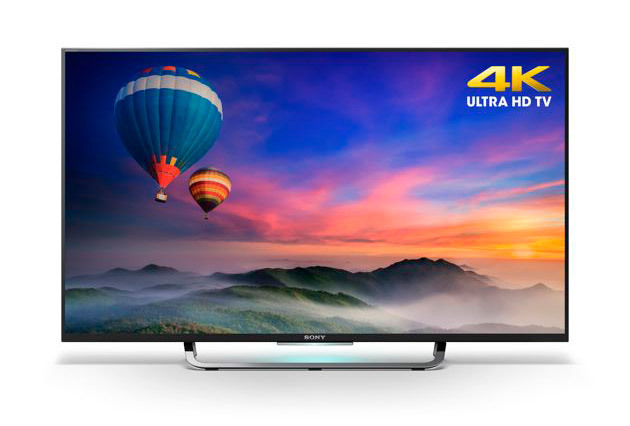 For myself, I first saw a “consumer” demonstration of 4K in 2012, and I blogged about it. The 84″ television cost well north of $20,000 and I suspect there were few buyers. In a quick search, I found an equivalent TV at a big box store for about $4,000 today. Of course it would be obsolete today without modern HDMI connections, but hey if you had too much money back then maybe you bought one. Every year, the hopeful 4K fans gather, and for the most part they’re disappointed. 4K Blu-ray Disc and 4K gaming didn’t really do anything to spur adoption, and even rapidly plunging prices didn’t seem to help… even when you could get a decent-sized, decent-quality 4K TV for under $700 over the holidays and a bargain-basement special for under $400. Yet, I think maybe this might be the year. At least it might be the year that gets us closer to the year. The pieces are all in place. Finally, we’re seeing some real content out there. It’s not just streaming (I’ll get to that in a minute), we’re seeing actual live 4K content on DIRECTV and occasionally on DISH and Comcast. There’s actually some interest in providing sports in 4K and while we have yet to see a movie channel in 4K, there are enough 4K pay-per-view movies that you could see something like that fairly soon. DIRECTV and Comcast have enough capacity (in most Comcast installs, anyway) that 4K live channels could be a reality any time now. Streaming is … getting better. While Amazon and Netflix lead the streaming pack with 4K content, most of it is poorly shot and presented, and even worse, the bandwidth issues inherent in streaming mean most people don’t even get full 4K when they stream a 4K program. But things are improving, with more people able to get 100Mbps service and better end-to-end transport, things are looking up. At least people are showing interest in 4K programming even though it doesn’t look much better than HD. So, I’m going out on a limb and I’m going to say that by the end of 2017, there will be some sort of meaningful increase in 4K viewership. After all, the TVs are there, the pay-TV companies are ready, the internet is improving, all we need is some good content. I’m even willing to say that by the end of 2017, one company will have announced a live 4K channel to start broadcasting in 2018. That’s the goal — perhaps by 2020 we’ll start to see a really meaningful bump in 4K programming. What do you think? In the past, people on this blog — myself included — have been pretty down on 4K. I have to admit that the difference in picture quality between upsampled HD and 4K isn’t really mindblowing, and I still know people who watch stretched SD on their HDTVs. I don’t think 4K will ever come to over-the-air antennas, but I think it will eventually become the norm for streaming and that there will be 20-30 4K channels on live TV over satellite or cable. Beyond that… I won’t say. How can you align the DIRECTV Reverse Band 3 LNB?